Here in Ireland we are blessed to be surrounded by some of the richest fishing grounds in Europe. The local fishing community are a major part of the local diet and economy alike. It also adds to the shop local opportunity we all have as consumers to help promote and work with local communities and the way they work, live and flourish. Buying local fish brings with it a range of opportunities. Advocates of local shopping often use the phrase food miles. It’s used to describe how far food has travelled to get from source to your plate. Fish miles refers to how far your fish has travelled to get to your plate. We believe in our local produce and our fish is brought in daily to Renard, Cahersiveen, Co. Kerry – a close proximity to all of our fish shops in Kerry and Seafood Bars alike. The benefits for fish mile reductions are significant. It significantly reduces the carbon footprint of transporting fish. Reduce the potential length of time to get the fish from the sea to the store – ensuring the freshest fish possible. A significant number of our fish is still imported. In 2015 alone Ireland imported €225million worth of seafood. There’s no doubting that the local fresh fish alternatives to these imports can provide higher quality and fresher fish with less “fish miles”. Supporting local fish shops brings with it the opportunity to support local jobs. Here at Quinlan’s Fish Shops we are proud to give our customers locally sourced fish, caught daily and of the highest standard of freshness. 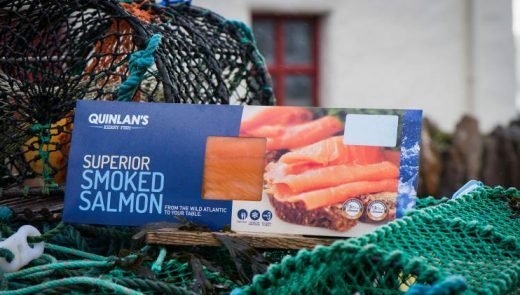 To find your local Quinlan’s Fish Shop find out more here.